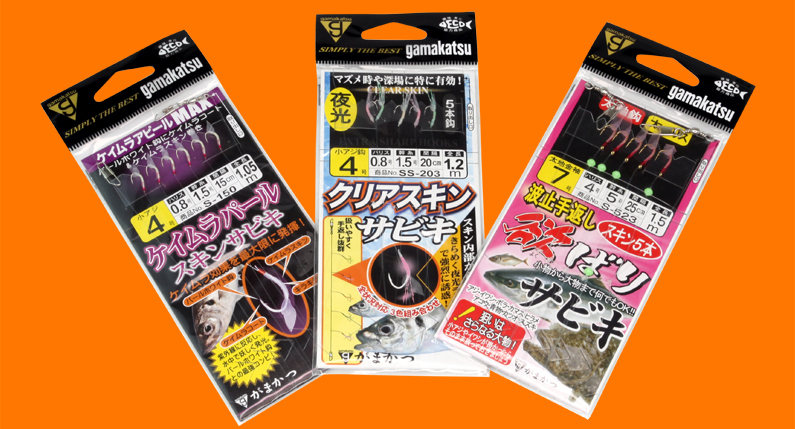 Gamakatsu has introduced three new versions of is popular sabiki rigs, which let you catch a whole school of live bait at once. Each hook is rigged with an extremely durable, high grade latex attractant. This mimics small bait and prawns as the angler twitches and jerks to tempt the most wary baitfish. These sabikis are especially hot for catching slimies and yakkas, and can also be used for herring and mullet. Every component of the rig is top-of-the-line, and hand assembled for maximum durability so you can use them over and over. The S150 model (size 3-9) has a UV-coated hook which mimics the ‘glow’ of plankton, prawns and squid in the dark depths. The SS203 model (size 3-9) is designed to naturally absorb sunshine and mimic the organic bioluminescent process and glow in deep, dark water. The S523 (size 5-8) is fitted with a UV glow bead as an added bait-luring addition to its lifelike pink shrimp jacket.